Prerequisites: Shambhala Training Weekend V: Open Sky and In Everyday Life course series (Completed and/or currently enrolled). The Rigden is a representation of our basic enlightened nature and embodies the principles of unconditional bravery, gentleness, and confidence. Historically, rigdens were enlightened rulers who governed their societies based on the principles of wakefulness, compassion, and wisdom. Rigden Weekend: Unconditional Confidence is the culmination of Shambhala Training Year One. 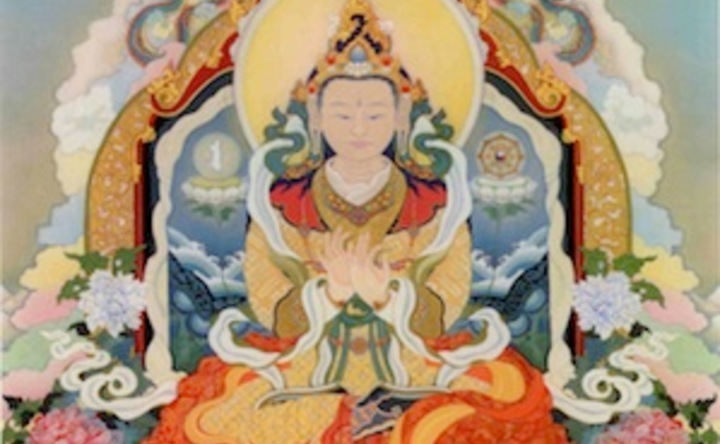 Led by Acharya Eric Spiegel as a direct representative of Sakyong Mipham Rinpoche, this retreat explores principles and practices connected with manifesting primordial confidence through the direct experience of basic goodness. This weekend explores the notion of lineage, introduces a meditative practice of rousing one's personal energy, and unpacks the Shambhala Vow - a personal aspiration to realize and manifest the Shambhala principle of basic goodness throughout one's entire life. Students will have the opportunity to take the vow on Sunday afternoon as part of the culmination of the weekend program. Those who take the Shambhala Vow will meet personally with the Acharya, and will receive a Shambhala Name as part of the vow ceremony. The weekend will begin with a short nyinthun, or practice session, from 3-6 pm on Friday afternoon, during which time the Acharya will begin conducting one on one meetings with students. This session is optional for those who are able to attend. The formal opening talk of the weekend will take place at 7pm Friday evening. 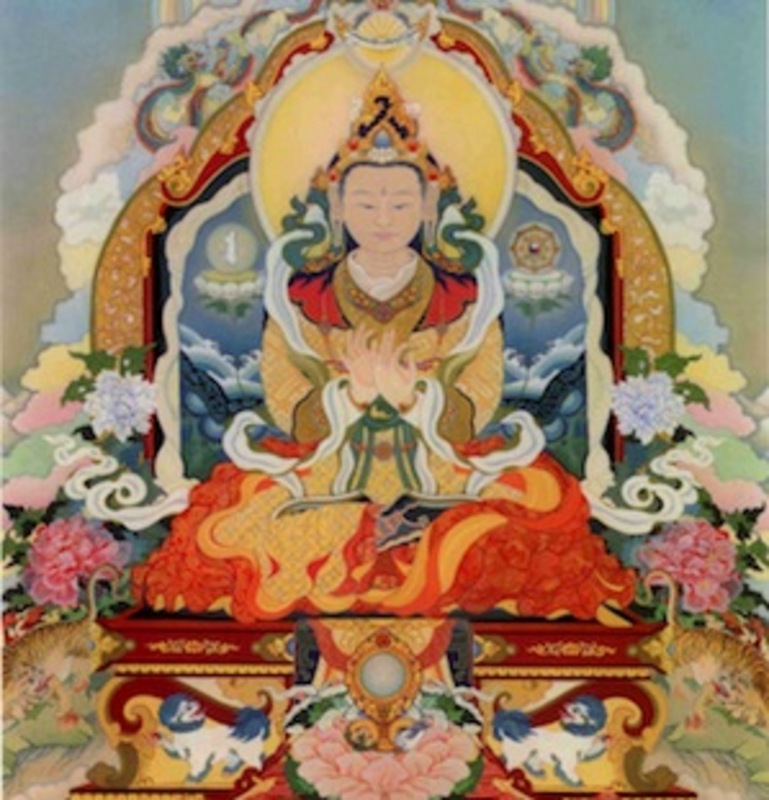 The Shambhala Vow ceremony will take place at 3pm on Sunday afternoon. Bring your friends and family! Please note that the program price includes a $35 materials fee. Acharya Eric Spiegel grew up on Manhattan's Lower East Side in a lefty family that he describes as "fundamentalist atheists." In 1971 he met and became a student of Chögyam Trungpa Rinpoche. He has worked in the financial sector for decades and in 2002 he left Wall Street to devote more time to teaching. The following year, Sakyong Mipham Rinpoche appointed him an Acharya, which means "senior teacher." He is the Acharya for the New York Shambhala Community and teaches and has students in NYC, around the US, and internationally. He has worked extensively with people facing death and with issues related to death and dying. He also works and teaches within the Shambhala tradition on developing a more awakened attitude toward wealth and money. Our Generosity Policy helps make programming available to all those who wish to participate. To utilize the Generosity Policy, please call or email Registration. We cannot accept Generosity Policy registrations at the door, so please make arrangements in advance. If you are able, please consider registering with the Patron price. By offering a little more, you help make programs accessible to others. Thank you! 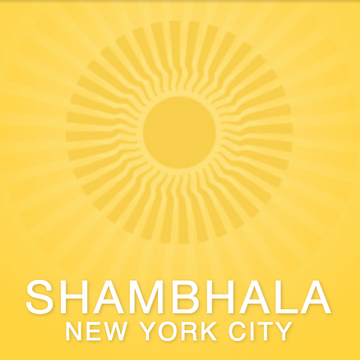 For over 40 years, the Shambhala Meditation Center has offered New Yorkers the opportunity to work with their minds and hearts through meditation. Our mission is to inspire an awake and compassionate society through personal and collective transformation.We offer meditation classes, mindfulness workshops, urban retreats, and a wide range of teachings from the Shambhala tradition.In addition, we offer Shambhala Training, a comprehensive curriculum of meditation and emotional intelligence education, rooted in ancient wisdom and designed for the challenges of modern, everyday existence. This secular path of study and practice is suitable for all levels of experience and open to people of all faiths.